Attended the Penshoppe event yesterday with fellow bloggers at SM North. Will blog about the event on my next post. 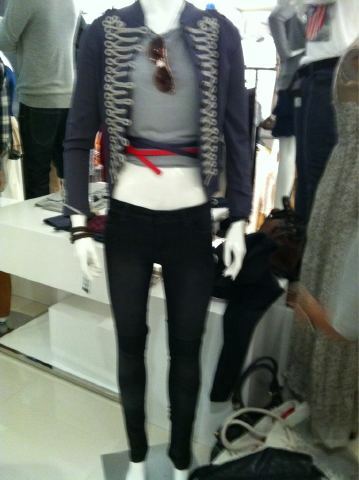 Anyway, Penshoppe had this pakulo were we had to group ourselves into 3 and then styled a mannequin using Penshoppe items. It was my first time to dressed up a mannequin and it was so much fun! 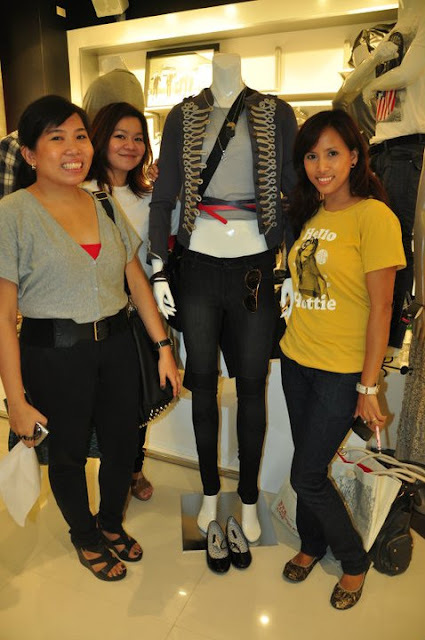 I teamed up with Earth & Dailyfashionista and our peg is Lady Military! Show your love by voting for our style HERE! Voting ends on July 22 at12nn. this is what you call making a statement ;-) "like" done! liked the picture dear. ;) goodluck!